Digital talent is one of 2015's undisputed industry themes. CEOs, CMOs and sector research all point to people with digital skills as the lynchpin for peak business performance. 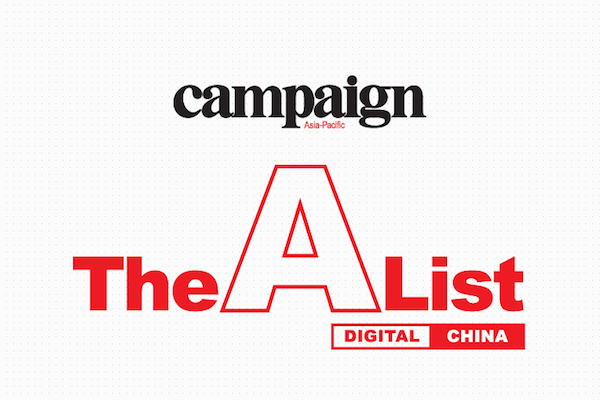 Campaign's Digital A-List is your chance to spotlight top talent in China's digital arena. This is an open call for nominations. Campaign Asia-Pacific’s Digital A-List China is all about people - marketers, strategic thinkers, digital tinkerers and business-model breakers. Last year’s list highlighted influential people in an industry where one good idea can set sweeping transformation in motion. For 2015, Campaign’s editors have their own ideas about where to find those kinds of thinkers but you can help too. Take this opportunity to promote your peers, advocate for your advisers and campaign for China’s digital champions who dare to change the world, again. Rising Stars: These are the under-35 set who represent the next generation of thinkers and doers in China’s digital landscape. They are the talent to watch with an impressive track record and even greater potential as they are already on their own company’s radar as future leaders. Selection criteria: Must have spent minimum of 6 months in China with demonstrable impact on the business in terms of insight, execution or performance. Nominees should hold junior roles but senior roles are also welcome if they are new to digital. Each should have respect from peers as well as supervisors. Firms in marketing, PR, ecommerce, ad tech or related brand consulting qualify to nominate staff. Digital Entrepreneurs: Under 40 and founders of their own firms in China, these are the leaders building China’s digital equivalents of the 21st century’s paper and gunpowder. Digital China is rising and these are the people driving it. Selection criteria: must have a founder/ownership stake in a digital marketing/PR firm in China. The company should be a minimum of 8 months old and founded in China (operations do not have to be exclusive to China but the company must be based there). Must be able to demonstrate key digital successes or achievements in the past 12 months. 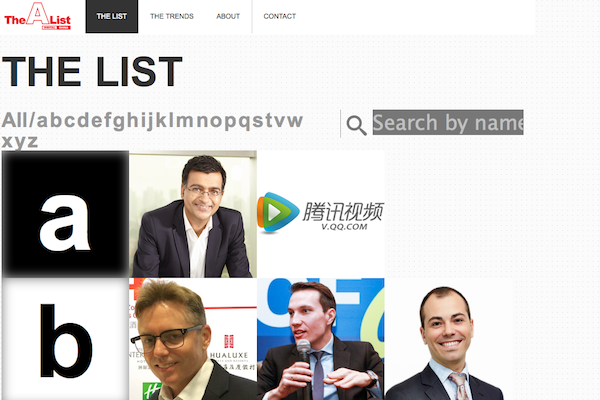 Hall of Fame: This is a highly select group of China’s pillars of the digital industry. Founders of Baidu, Alibaba and Tencent may appear here as well as the team that sent China’s first-ever email. Selection criteria: Must have spent minimum of 12 months in China; Must hold an influential role within a brand, agency, media or digital technology organization; Must be a leader in his/her digital field with proven ability, experience clout and reputation; Must be able to demonstrate groundbreaking digital success in the past 15 years. What sets them apart as an industry practitioner? What are they doing not just to assist the company they work for and its clients, but also take the industry forward? In short, why should people look up to them?